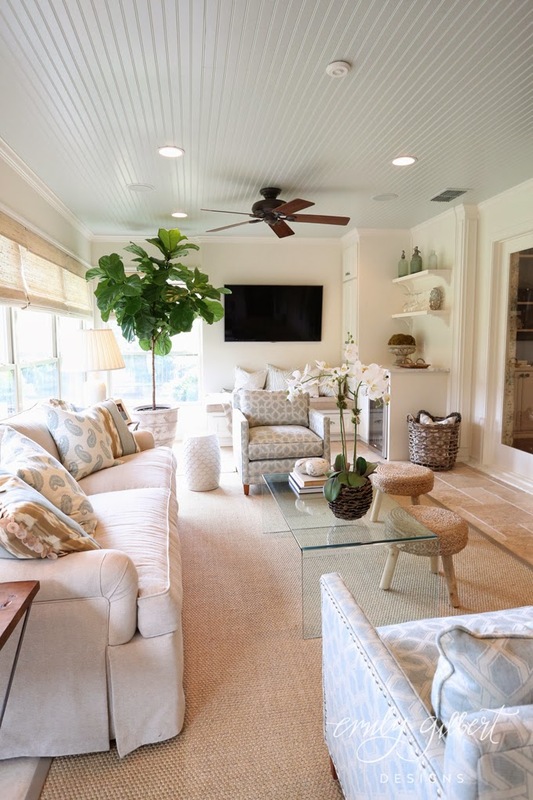 I love the idea of a sunroom–a room dedicated entirely to relaxing! 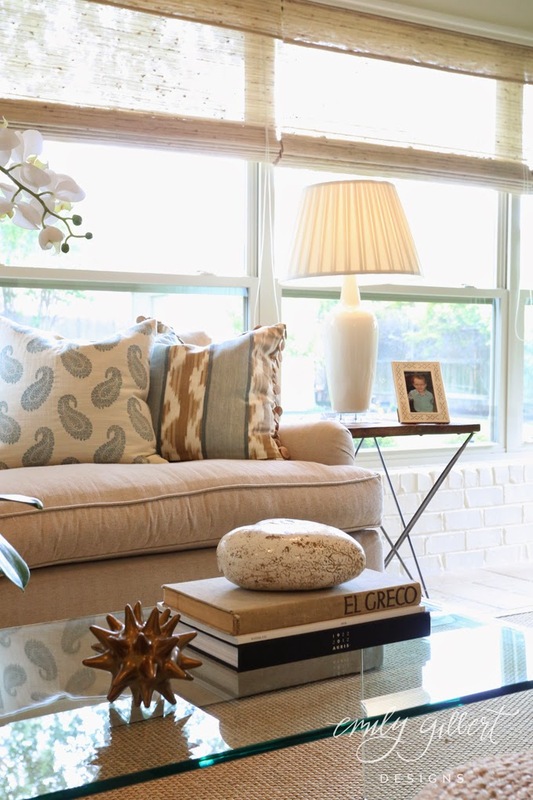 This one by Emily Gilbert Designs, an interior design firm based in Fort Worth, Texas, and photographed by Cgilly Designs is as dreamy as they come! 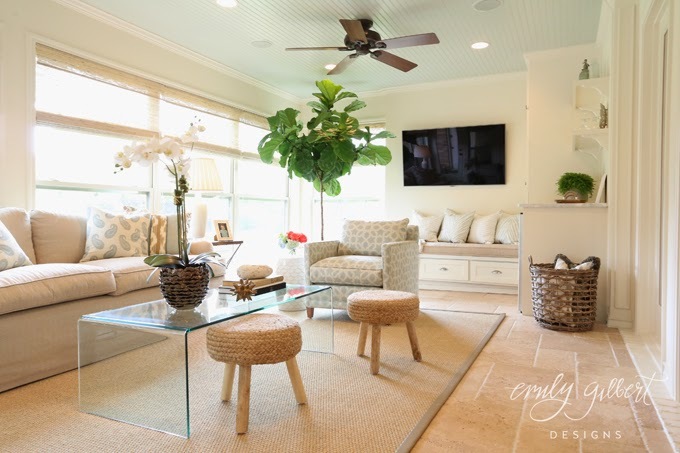 Emily transformed it into such a light, fresh and airy space, it’s hard to even imagine it as the dark space it once was with exposed brick and dark floors! 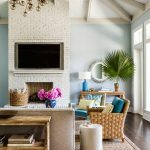 I especially love the painted ceiling (Sherwin Williams Sea Salt in a semi-gloss finish!) 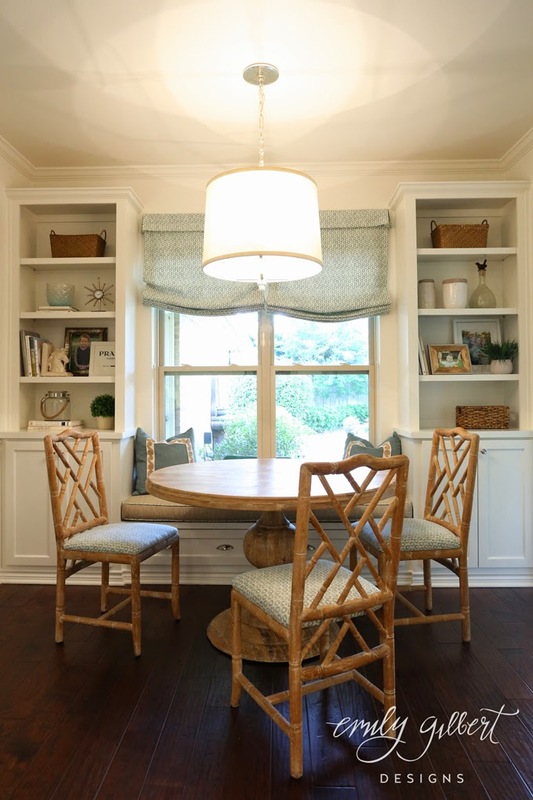 The breakfast nook is perfection too…love the built-ins and window seat as well as the fabric on the curtains and chairs! 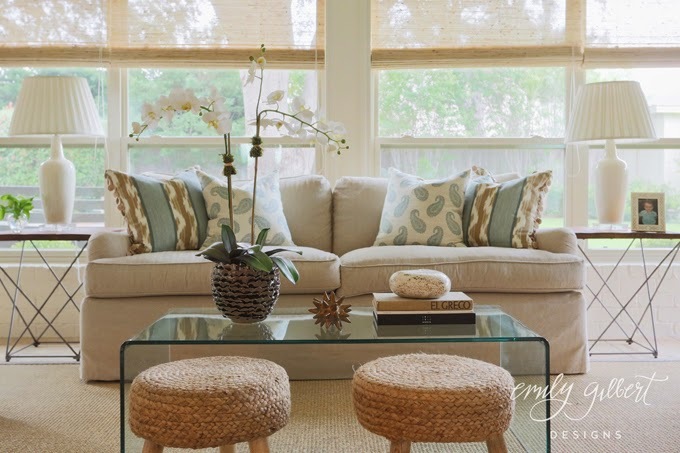 Head on over here next to see more great designs from Emily Gilbert as well as her inspiring blog! I love your blog. I do believe it's my very favorite one !I have to contain my self when I see mail from you. Please tell Anonymous the turquoise was on the ceiling!!! This room is GORGEOUS!! Thanks so much for the time you poor into your blog. 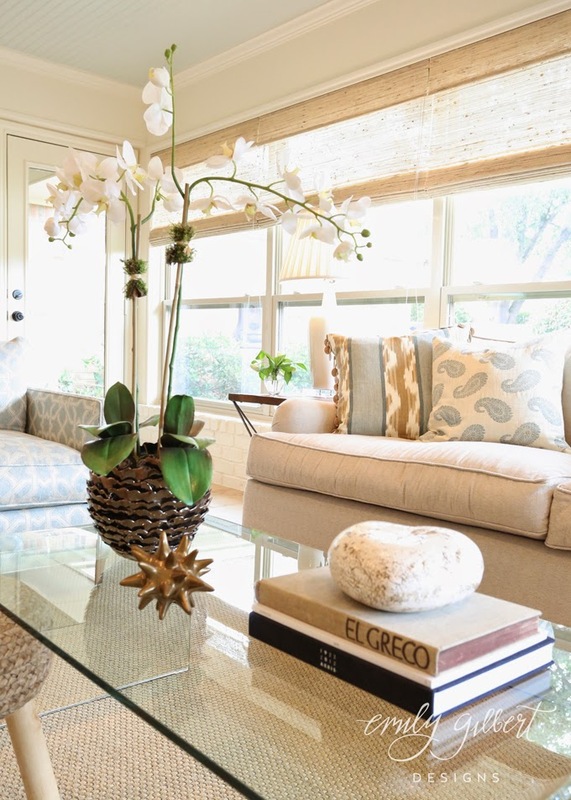 It is always a treasure to see the beautiful rooms you feature! The previous anonymous poster should be ashamed! 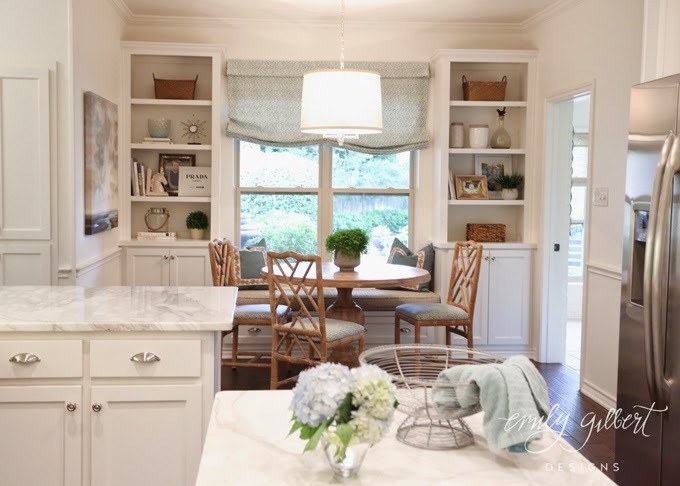 Do you know what shade of cream paint is used on the walls is this room? Thanks again!! Really pretty! 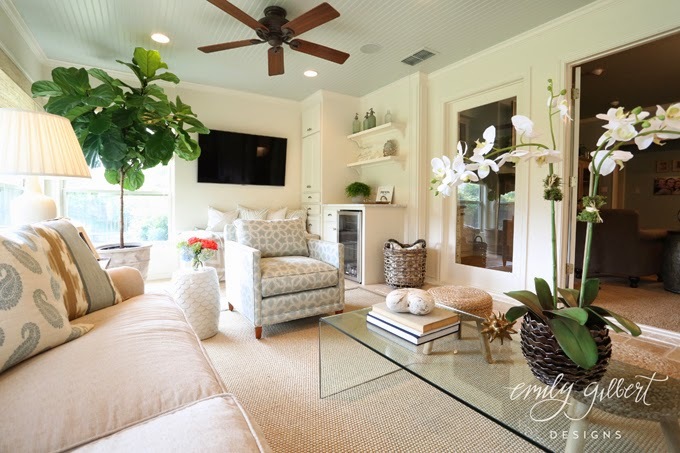 Love the texture and built-in bench underneath the TV. Love her work! The built-ins are fabulous. Thanks for sharing! What gorgeous spaces, love it.